Alex Brown, who became well-known in the horse world through his blog and book, Greatness and Goodness: Barbaro and His Legacy, which chronicled 2006 Kentucky Derby winner Barbaro's attempted recovery from injuries sustained in the Preakness Stakes, has had his first book of fiction published, titled Missionville. Brown recently sat down for an interview with Daniel Ross. 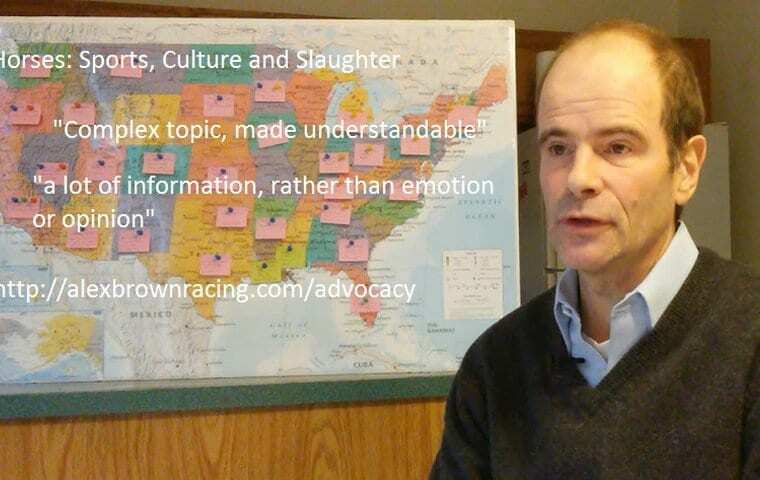 In the interview, published in Thoroughbred Racing Commentary, Brown not only discusses his book, but touches on several other important topics, from drugs in racing to racetracks and their policy regarding horse slaughter and horse rescue. This entry was posted in Horse Care and tagged Horse Racing, Horse Slaughter, horse slaughter ban, Horse Welfare, thoroughbred by Paulick Report Staff. Bookmark the permalink.